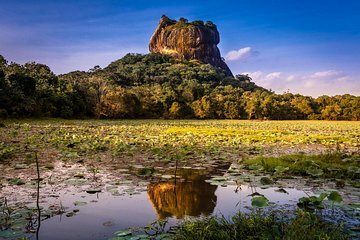 Head into Sri Lanka’s interior to experience Sigiriya Rock and island village life, all free from transportation worries, on this private full-day tour from Negombo. Enjoy the scenery as you travel inland by private car, and hear about Sigiriya and the local rural heritage from your driver-guide. After exploring Sigiriya’s highlights, discover village life with an ox cart ride, catamaran trip, and home-cooked lunch, all difficult to arrange by yourself.